So Team Principal Ian Bickerton is in bullish mood ahead of the fourth round of the Le Mans Series – and why not? Two Creation entries for the first time, Minassian and McGarrity in #10, JC-W, Felipe Ortiz and Beppe Gabbiani in #9, a late-season programme worked out for the ALMS – it’s all very positive for the British prototype team (still looking for that first Le Mans Series win). With Donington Park being very much Creation’s home track, and bearing in mind the form they’ve shown through three seasons of competition, with a fine performance at Silverstone last year, could this be the moment for the Ian Bickerton / Mike Jankowski team to mount the top step? A two-day meeting might actually work in the team’s favour. 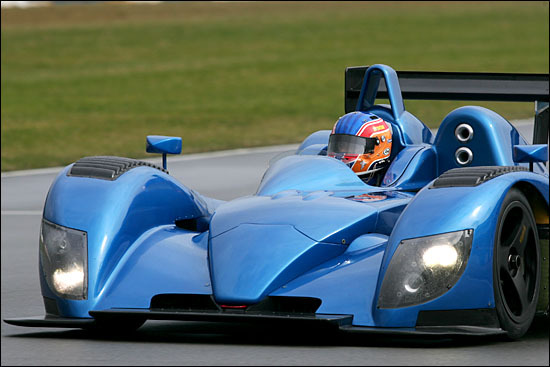 Tomas Serwin was a likely Creation driver for this event, but the Dane will now make his debut later in the season, in the ALMS. He tested for the team at Snetterton last week – very successfully. “It’s a big commitment to build up and race two cars,” says Mike Jankowski, “but we know that it’s a vital step not only for our future plans but also for the Series. It adds great depth to the prototype class. What I can’t wait to see is the start. Nic and Jamie have never raced against each other before so the start will be interesting to say the least! Team orders? Well, I think the only one will be “Don’t crash into each other”. Mike Jankowski is expecting Kevin McGarrity to be up to speed very quickly. The Irishman has raced the ProTran so far this season, but his place in that entry, with Paul Cope, will be taken by Phil Bennett. We’ll look at the prospects for this one, and all the others, in the race preview (on Thursday). Here's the first Creation hybrid being shaken down at Donington Park in March.